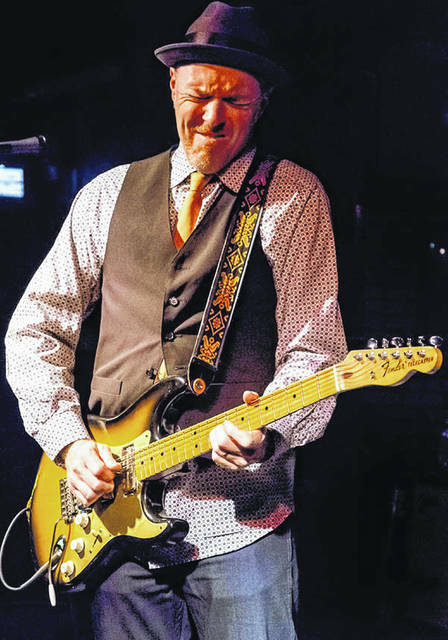 Hadden Sayers and his band will return to the Murphy Theatre Saturday night. Native-Texan and Wilmington favorite Hadden Sayers and his band return to the Murphy Theatre at 7:30 p.m. Saturday, April 20. Sayers been performing his own passionate brand of rockin’ blues for decades. He’s a two-time Blues Music Award nominee (the Grammy of the American blues world) with a 2019 nomination for Acoustic Artist of the Year. He’ll be performing at the 40th Annual Blues Foundation’s BMA Ceremony May 9 in Memphis. The honor comes on the heels of his innovative 2018 double release, the full band Dopamine Machine, and a second, stripped-down, acoustic version of the same tunes released simultaneously as Acoustic Dopamine. When not fronting his own band or playing solo shows, Sayers can be found playing guitar in acclaimed singer-songwriter Ruthie Foster’s band. Foster appears as a guest on Sayers’ 2018 releases and also performed a duet with Sayers on his critically acclaimed song “Back to the Blues,” which received a 2012 Blues Music Awards Song of the Year Nomination. Hear music and find out more about Sayers at haddensayers.com. Tickets are $22-$29, and $17 for students (fees apply to all tickets). For tickets, visit themurphytheatre.org/buy-tickets or call 937-382-3643. Or you can buy tickets at the box office 10 a.m.-3 p.m. weekdays or day of show beginning at 5 p.m. at 50 W. Main St., Wilmington.